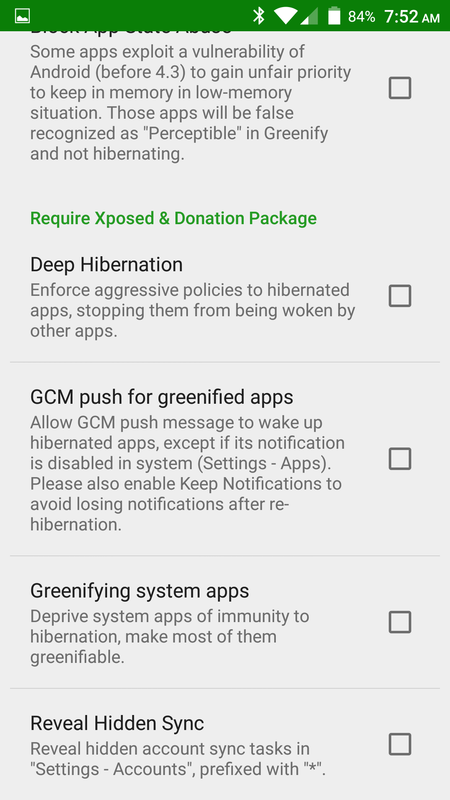 The new Greenify v2.6 beta comes with a variety of interesting changes, including full Xposed support for Lollipop users. If you have been dragging your feet on donating to the developer, you will be happy to learn that two of the best paid features are migrating to the free version as well. While less obvious to the end user, much of the under the hood mechanism has been rewritten to improve performance and facilitate future feature additions. In case you missed it, this update was made possible in part thanks to Xposed framework's recently added support for Lollipop. 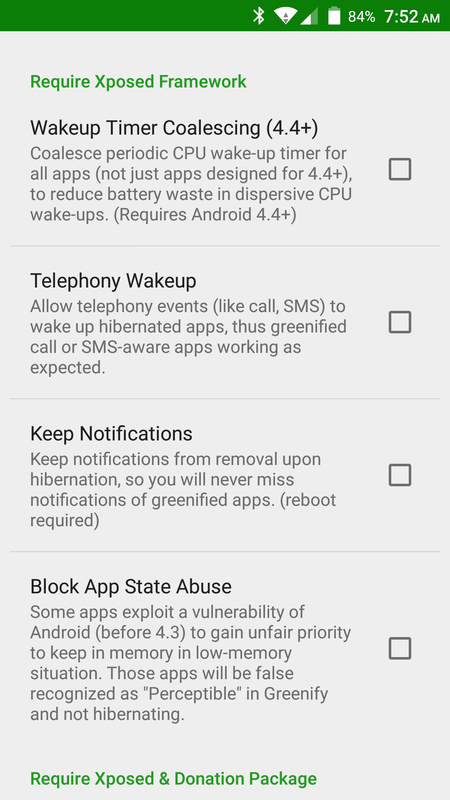 On the other hand, the "wakeup tracker and cutoff" feature has been modified to work without Xposed in the latest update. The framework is great, but it's always better not to rely on third parties when possible. 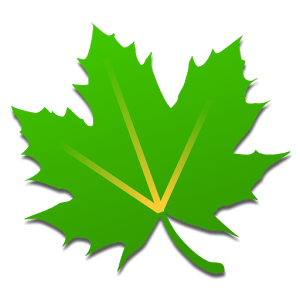 The tracker helps you figure out what is waking up your greenified apps. 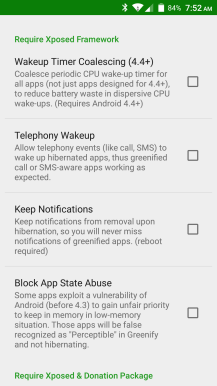 Previous donation-only features that will now be free are "wakeup timer coalescing" and "telephony wakeup." The former coordinates the necessary activations of greenified apps so they occur at the same time. For example, Facebook, Twitter, and Google+ each need to wake up and contact the server periodically to check for updates. Without Greenify, they just do it all the time. When greenified but without the coalescing, they will each wake less often but may not do so at the same time. The effect can be that your device is nearly always active because one app after another keeps using the CPU. Coalescing reduces this problem. Telephony wakeup makes sure that apps which are needed when you receive texts or phone calls don't stay hibernated when those events happen. 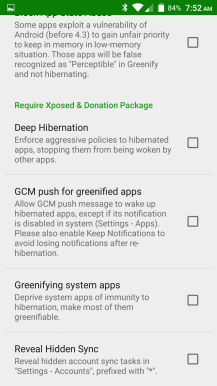 This applies most to people who are very zealous about greenifying nearly everything, but can be very important for having a good experience with the app. 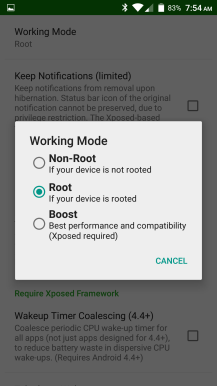 Both this and wakeup coalescing still require Xposed. The new feature in this beta is "deep hibernation." As explained, it seems that a device in deep hibernation will basically lose app intents. This is another method of preventing unnecessary CPU and network usage when devices should really be idle. Of course, when the user actively wakes it, everything should work as normal. Last but not least in this update is what the developer calls "a powerful new engine." They are very vague about what exactly has changed, but the claim is that it has already improved performance and it will enable future versions to be even more fully-featured. You can participate in the Greenify beta program by joining their Google+ community and following the directions there. If you do that, you'll automatically receive beta updates through the Play Store. Otherwise, you can grab the download and install it yourself.